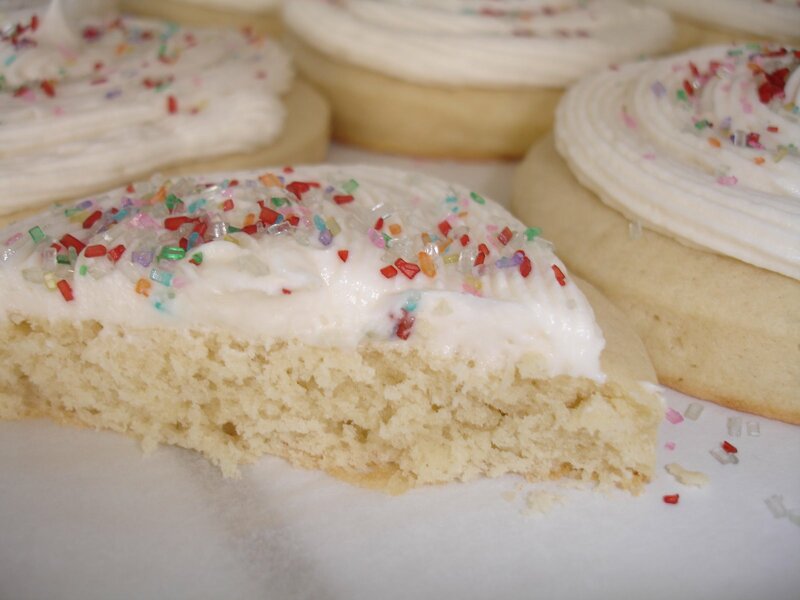 This is a picture of our famous, light and fluffy sugar cookies. Emily and I both make these as a regular item on our catering services. We get hundreds of orders for these all year long. They are ridiculously popular with our clients. 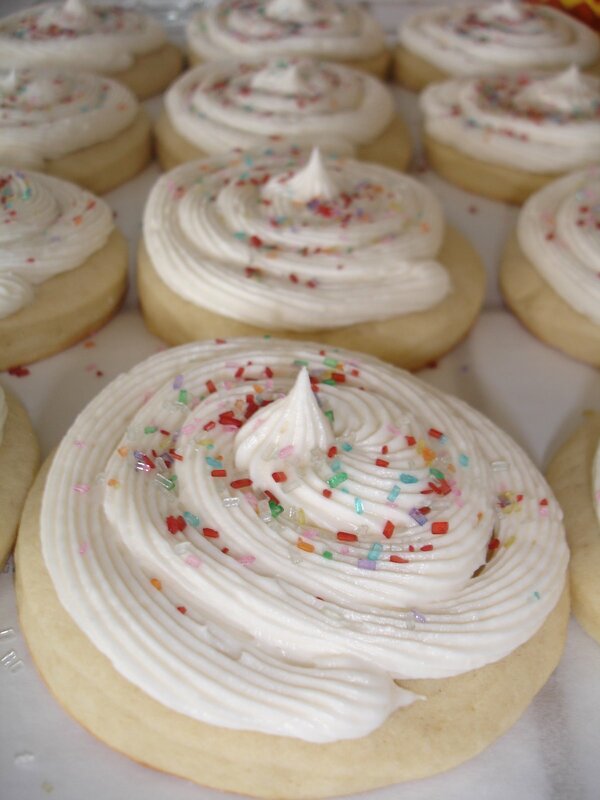 They are sugar cookie perfection! So, I’m making some for my handsome nephew’s Eagle Court of Honor tonight. They are his favorite, so I can’t disappoint by showing up with anything less. He has worked so hard to achieve this huge goal, and we are so proud!!!! The sugar cookies shall be his! Stay tuned, the book will be coming out soon. We are hard at work, and getting really excited to get it released! These do look delicious! I love frosted sugar cookies. yum yum yum i will be making these this week!!! !